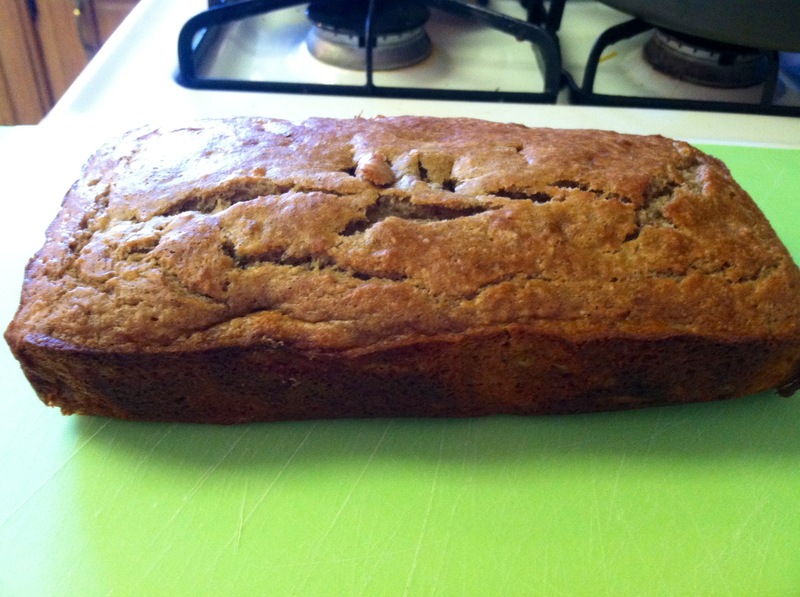 Banana bread is one of the most classic comfort foods. With a short ingredient list that often includes flour, sugar, eggs, bananas, and oil, it’s easy to put together with the staples you most likely already have in your kitchen. It’s basically the Channing Tatum of dessert breads–you’re always in the mood for it, it makes your mouth water, and the smell of it is intoxicating (okay so I’ve never actually smelled CT but I bet you it’d be intoxicating). This banana bread, however, isn’t your typical recipe. One of the things that helps me stay on track with eating a relatively healthy diet is upping the protein whenever possible. I don’t think you should ever restrict foods, but instead make foods as nutrient-dense as possible. That way, you’ll fill up faster and stay satisfied longer. That’s why I changed around some of the ingredients of this old standby and made a banana bread with a protein-packed punch. I adapted the recipe from this girl, and it came out just as delicious as expected, just with multiplied staying power. So since it’s that time of the year for comfort food, enjoy! First, preheat your oven to 350. 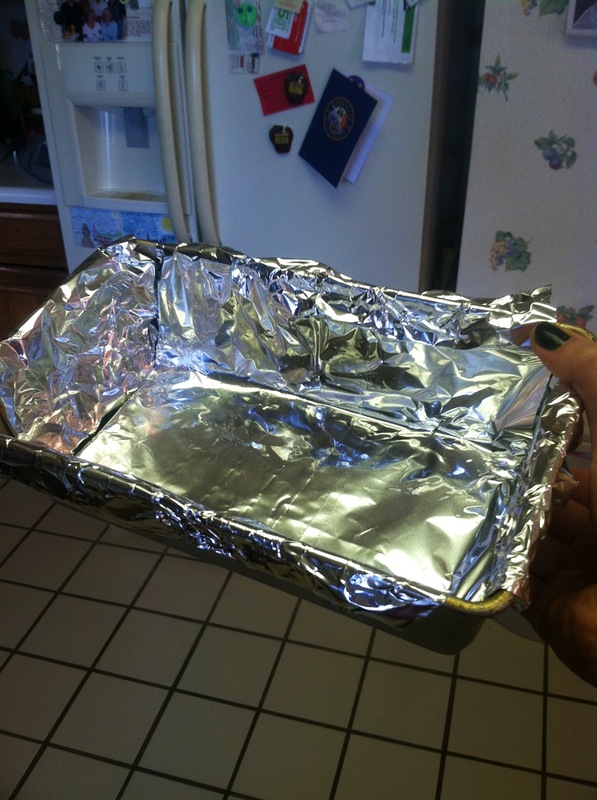 Prepare your pan by lining a 9-inch loaf pan with foil and giving it a spray of Pam. This helps with a quick cleanup and also ensures that your bread comes out nicely when you slice it. Next, mix all your dry ingredients in a large bowl (flour, almond meal, baking soda, baking powder, salt, sugar, and cinnamon). In a separate medium bowl, slowly mix together your wet ingredients (egg, egg white, bananas, yogurt, vanilla, and coconut oil). 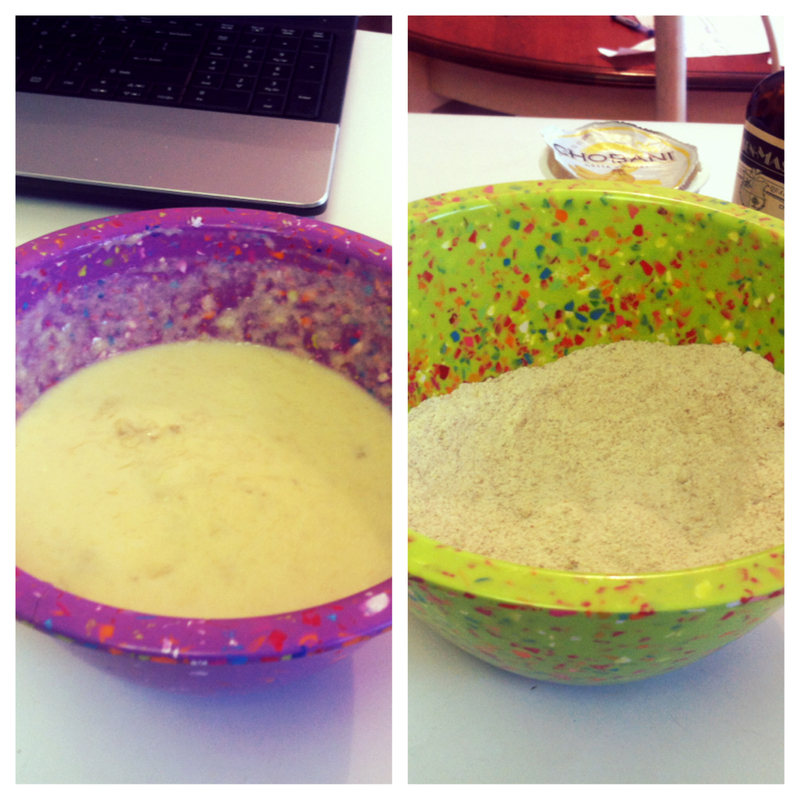 Once you have both bowls set aside, slowly add the wet ingredients to the dry ones, mixing just until incorporated. Over-mixed batter leads to dense bread (and this bread will already be pretty dense thanks to the almond meal substituting for some of the flour). Once you have your batter mixed together, add a cup of walnuts to the mix, because, why not? Pour your batter in your prepared baking pan and put in the oven for 45-50 minutes, or until a toothpick inserted in the center comes out clean. By adding the Greek yogurt and almond meal you’ve automatically added 28 grams of protein to your bread. It doesn’t get much easier than that! Do you often “healthify” your baked goods, or are you an all-or-nothing person? 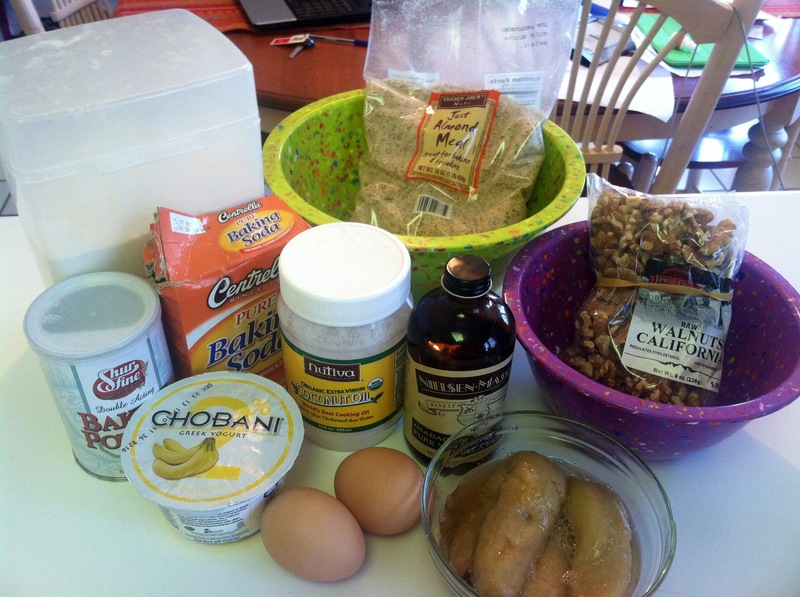 LOL – this recipe is so similar to mine, it’s crazy! I posted mine today too. I love to sub out the ingredients I think are unhealthy and create a tasty new recipe. It doesn’t always taste like the traditional recipe, But 9 times out of 10 it tastes really really good :). I love how I eat these days. This is YOUR banana bread. When you see an invitation to join a “cookbook”, you should put this in!